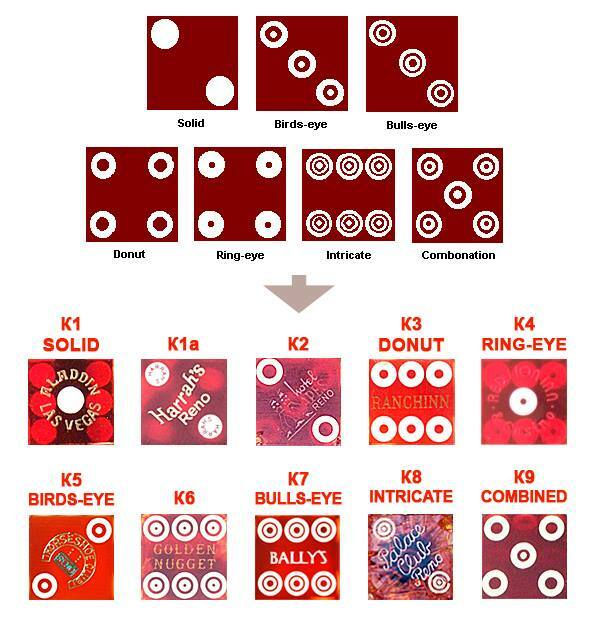 Casino dice are used in the popular US Craps game. What, in contrast to other dice, directly noticeable are the sharp edges. Since the dice is used in casinos in the game of chance, it is particularly necessary to manufacture the dice precisely. n contrast to normal plastic dice they are not produced with an injection molding machine but milled. The eyes are also milled out. So that the eyes do not influence the weight of the individual sides, they are filled with a plastic in a different color. Then the dice is milled again. The material is cellulose acetate. Previously, the dice were made of cellulose nitrate. Unfortunately, this material is not stable. So it can happen that after decades the dice suddenly outgas and become crystalline. The death of the dice! 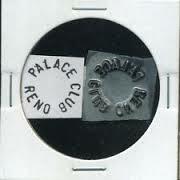 The logo or text is stamped with a "hot stamp" machine. 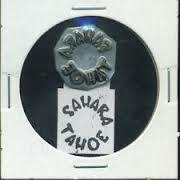 It is pressed by means of a metal stamp, which is heated, a metallic foil. To test the balance of the cube there are special gauges. 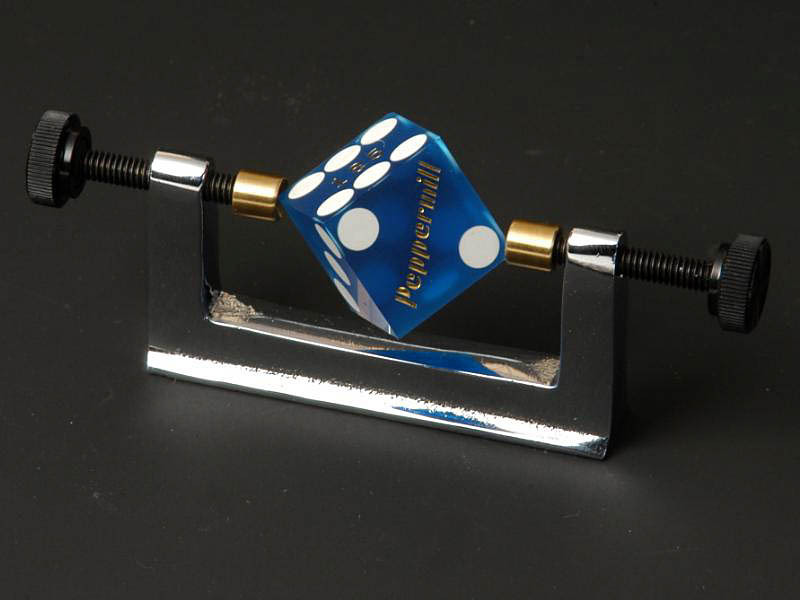 "Balancing Caliper"
The casino dice are available in all imaginable colors and sizes. Typical is red. But often also green, blue, purple and yellow are used. Each in transparent or matt (sandblasted). At pips there are different kinds on the casino cubes. Glow spot: A particular eye of the dice is made in a UV active material and glows under black light. Key Letter Spot: A specific eye has an abbreviation. For example a letter. This is attached to the inside and visible to the eye. Logo and / or serial number color: The color of the serial number and the logo can be changed. There are also several colors possible. Almost every casino has its own dice. A text or a logo are applied. Since it offers to collect casino dice. Collected is usually in pairs, with the same serial number. Especially old dice (vintage) are more valuable. Multi-colored dice increase the value. In general, the older and better preserved, the more valuable the dice is. Material has a different color than red. Small quantity or very rare. 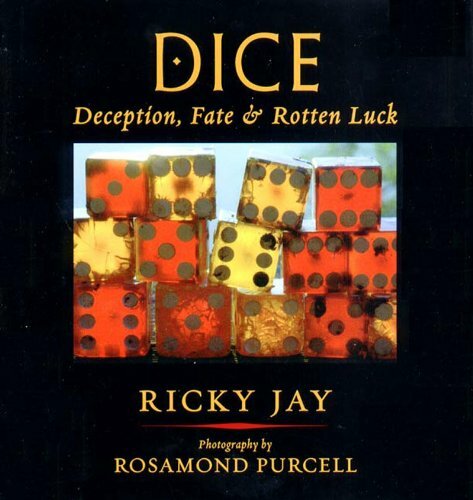 Dice: Deception, Fate & Rotten Luck von Ricky Jay New York 2002, ISBN 0-9714548-1-7, (Paperback: ISBN 1-59372-002-5). 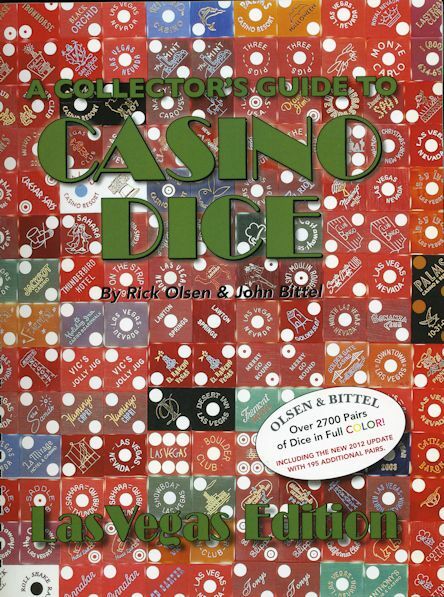 A collector's guide to casino dice von Rick Olsen & John Bittel.